T.C. Lane is the Director of Registry and Member Services for the United States Trotting Association, His duties include the licensing of all racing officials, both fair and pari-mutuel racetracks. He joined the USTA as its Director of Officials in 2002 following a stint with the Ohio Harness Horsemen’s Association, for which he served as the association’s representative to Ohio’s county fairs. Prior to becoming the Director of Registry and Member Services, Lane was also serving as the USTA’s County Fair Liaison. Before joining the OHHA, Lane graduated from The Ohio State University, where he majored in Agricultural Economics and minored in Equine Science. 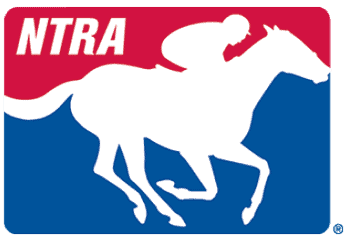 Additional day to day responsibilities include the supervision of the Race Track Support Team, which provide 24/7 service to all fair and pari-mutuel tracks in the country; the coordination of the 11 person ID Technician team; the Outreach division that represent the industry at all major events; and the Information and Research Department that supplies data as well as pedigree pages to all major standardbred sales throughout the country. In addition to his position on the board of directors for the Racing Officials Accreditation Program, he represents the USTA at the Association of Racing Commissioners International; International Racing Information and Intelligence Service Working Group, International Trotting Conference Registration/Breeding Chairman and also serves on the board of directors of the National Pedigreed Livestock Council. Lane is currently involved in initiatives such as USTA Strategic Wagering and is also leading the racing industry’s first, On-Line Race Entry program and On-Line foal Registration.